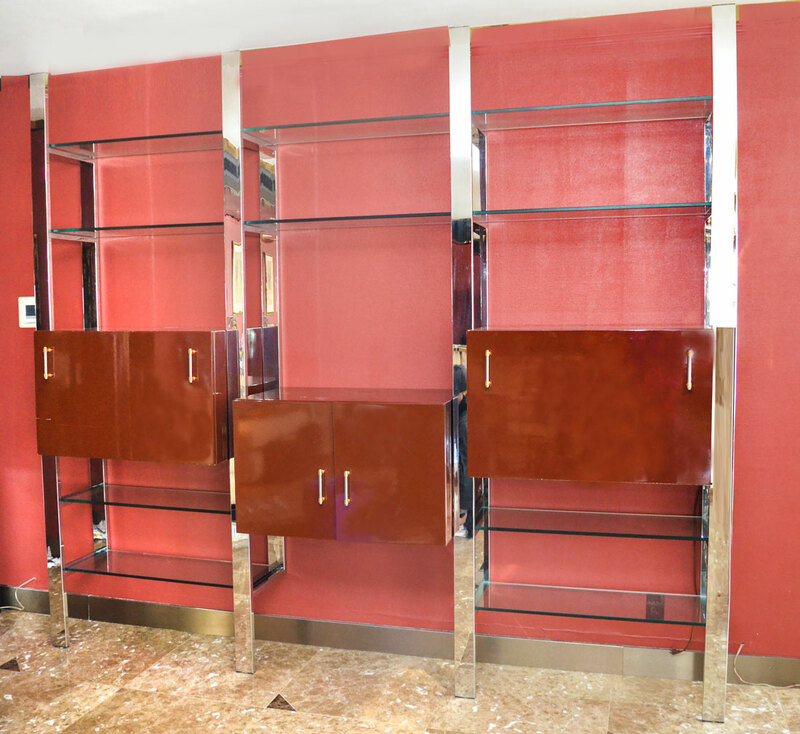 MODERNE CHROME AND GLASS WALL UNIT: Unit constructs to 3 floor to ceiling sections, chrome supports, each section having a maroon lacquered cabinet and adjustable glass shelves. One cabinet with 2 doors, the others have a fall front door. Each support measures 96 1/2'' h. x 14 1/4'', the cabinets measure 20'' h. x 32'' x 19 1/2''.